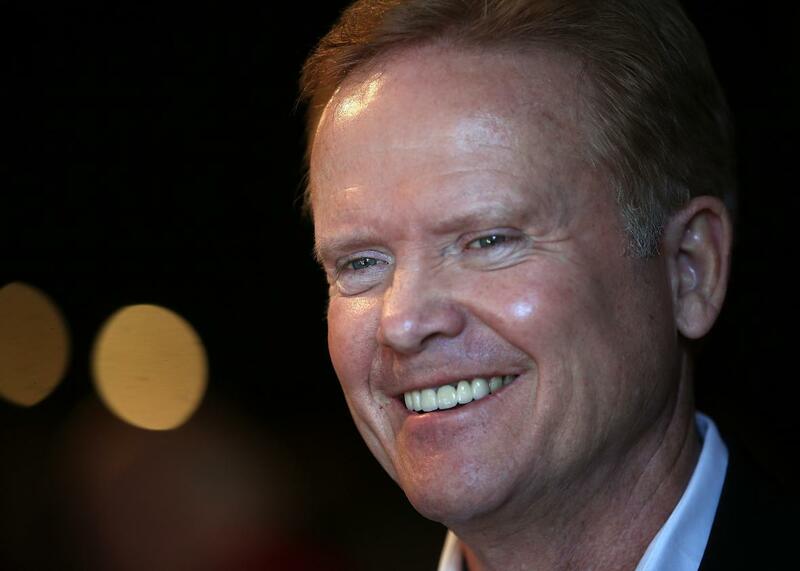 Jim Webb considering third-party run. Former U.S. Sen. Jim Webb (D-VA) looks on during a fundraiser for Iowa House Democrats at CHOP Restaurant on April 12, 2015 in Mason City, Iowa. Jim Webb has found a way to steal a bit of the campaign spotlight without having to casually talk about the time he killed someone in Vietnam. The former Virginia senator and current long-shot Democratic hopeful announced Monday that he is considering a third-party run. In grand scheme of things, this is hardly a game changer. Webb is currently sitting at 1.2 percent in the RealClearPolitics running average of national polls, and he looked painfully out of place on the debate stage last week as Hillary Clinton, Bernie Sanders, and Martin O’Malley touted their progressive bona fides. Webb wondering aloud about mounting an independent campaign, then, won’t create nearly as much handwringing at the Democratic Party’s HQ as Donald Trump’s third-party threat did this summer for the Republican Party. Even if Webb does strike out on his own—far from a guarantee—he’d need to find the resources to get himself on the ballot for the general election, which is neither cheap nor easy for those candidates without the backing of a major party. And to date, the only thing less impressive than Webb’s polling performance has been his fundraising prowess: He reported raising less than $700,000 in his last fundraising quarter, and had less than half of that on hand entering the month. Looking even further ahead, even if he were to get his name on the ballot in all 50 states, its unclear exactly who he’d be stealing votes from: He served as Ronald Reagan’s secretary of the Navy and he’s well to the right of his fellow Democratic rivals on most issues. Toss in his unapologetic attempts to win over working class whites, and it’s possible that he’d appeal to roughly the same number of would-be Republican voters as he does would-be Democratic ones. In the short-term, though, if this is a stunt, it’s a clever one. During last week’s Democratic debate, Webb spent most of his limited speaking time complaining about his limited speaking time. He’ll have no such problems during his Tuesday press conference. Better yet, the DC press corps will finally be paying attention—if only briefly.